It was great. Didn't take long to be seen and the staff was very perfessional. I thought it was very good. Based in Aventura, FL, Dr. Ettie Horesh works at Dental Options. 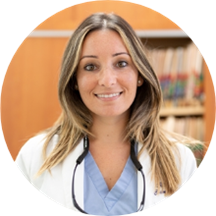 Dr. Horesh completed her dental education at Nova Southeastern University, with a focus on General & Cosmetic Dentistry. She is an active member of the American Dental Association. Dr Horesh's kind and gentle manner as well as her friendly personality make her a top choice for many patients. Her excellence in cosmetic dentistry, implant restorations and smile improvements has always been her priority. She speaks several languages and caters to a diverse population. During her consultations, Dr. Horesh explains to her patients her findings and presents them with treatment plan options. She believes in listening to each patient and creating a partnership to maintain and improve lifelong oral health. She was very nice, & gental, & listen to my concerns. Great- explained everything thoroughly without dragging things out. Awesome experience. Well taking care of, comfortable atmosphere, easy to talk to staff. Everything & everyone was nice, professional & helped answer all my questions and concerns.